This week I have been on a creating craze! I have finally begun the (tedious) work of opening my first online Etsy shop, and I have found myself itching to make things. 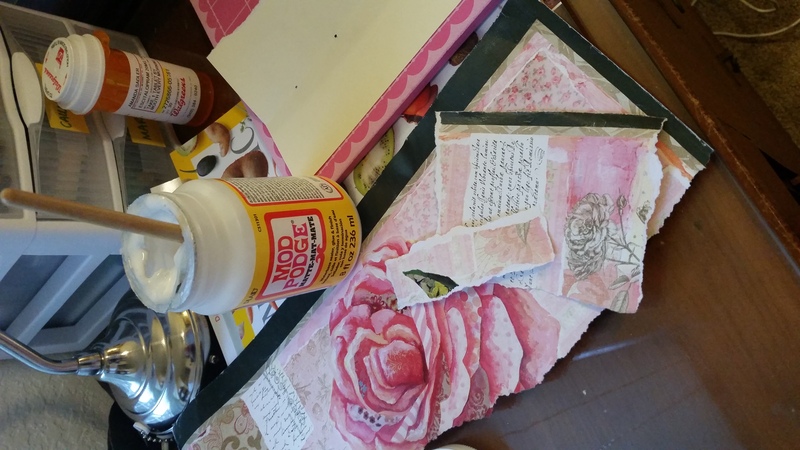 Right now I am working on some junk journals for the shop, and I thought I would give you a look into my creating process! 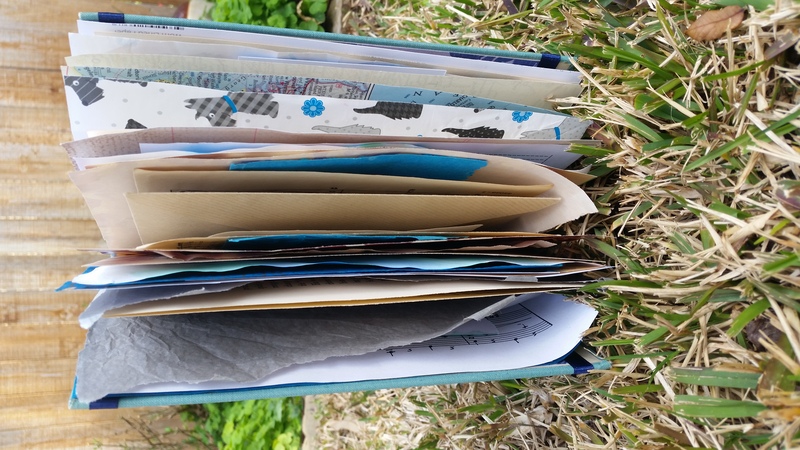 First, friends constantly ask me what junk journals are used for. They’re absolutely fascinating to look at, and a joy to create, but are they actually useful? 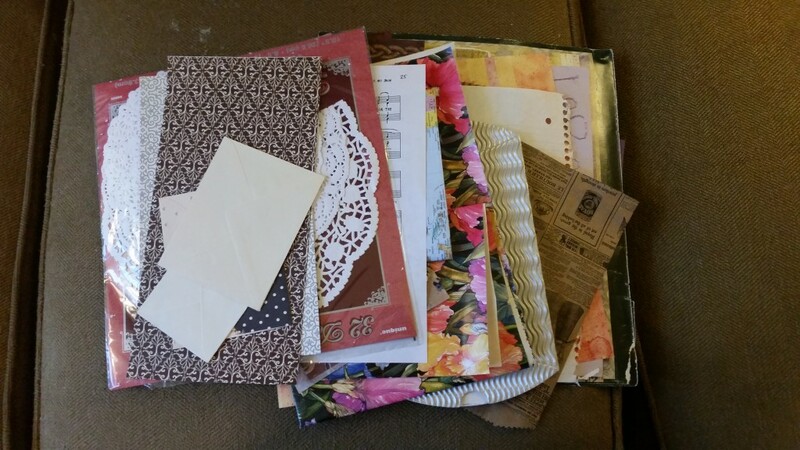 People use junk journals as a base for scrapbooking, as a handmade “Smashbook,” or as a little album of their own photos and goodies. 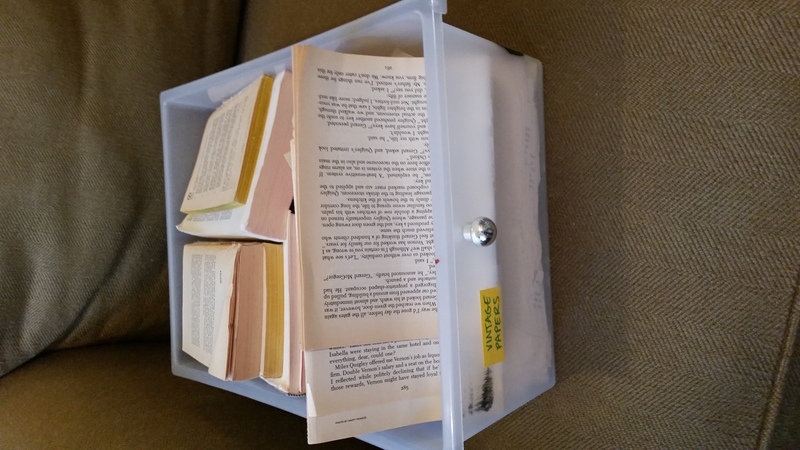 Some people use theirs to keep lists, or as a “brain dump” location. You can of course journal normally in these, although the pages are definitely not your average lined paper. First step: I choose a vintage or otherwise-pretty hardcover book that I don’t mind ripping into. I usually shop for these books at thrift stores, where I can get ten for two dollars. 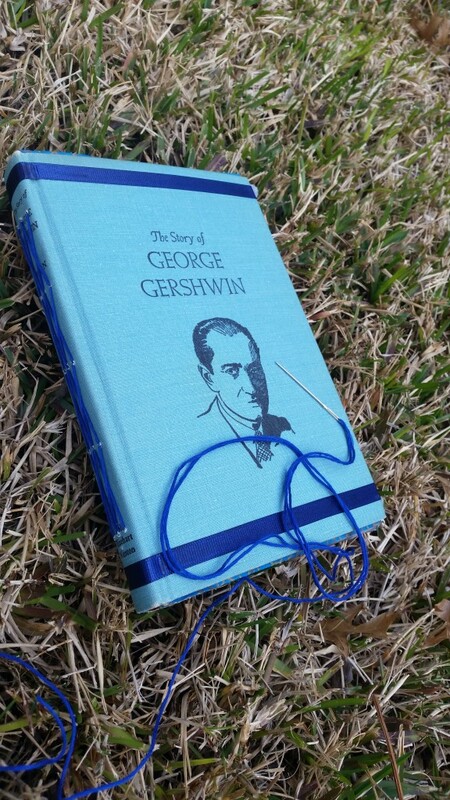 Using my (very sharp) exacto knife, I CAREFULLY remove the pages from the spine. Nothing is worse than trying to use a book cover and accidentally cutting it in half. 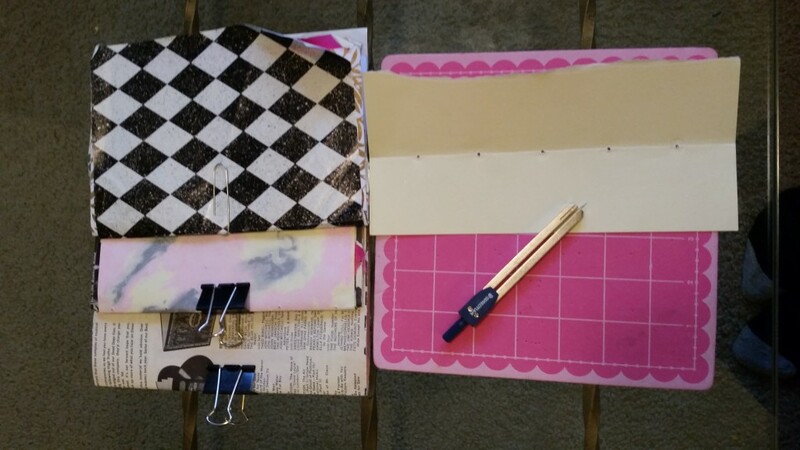 Once I have the cover remaining, I choose a theme for the junk journal and choose corresponding end papers. Here I have chosen to use a nice corrugated cardboard for sturdy support. 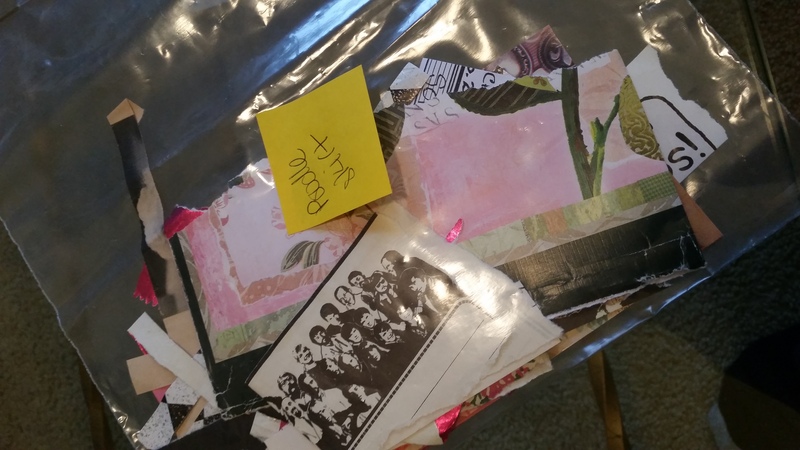 Next is my favorite part of this process– I go through my extensive stash of collected papers and select pieces to use in the journal. I absolutely love digging through my “magic box” and happening upon beautiful pieces that go with my theme. I love seeing the color scheme of the journal come together as I select more and more papers. 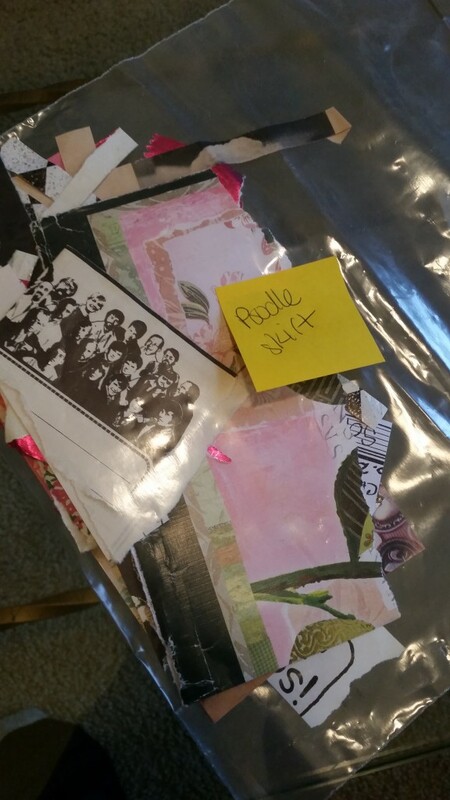 I’ve also got a happy little drawer of vintage papers and book pages that I use in my projects, which I love to sprinkle through these projects. 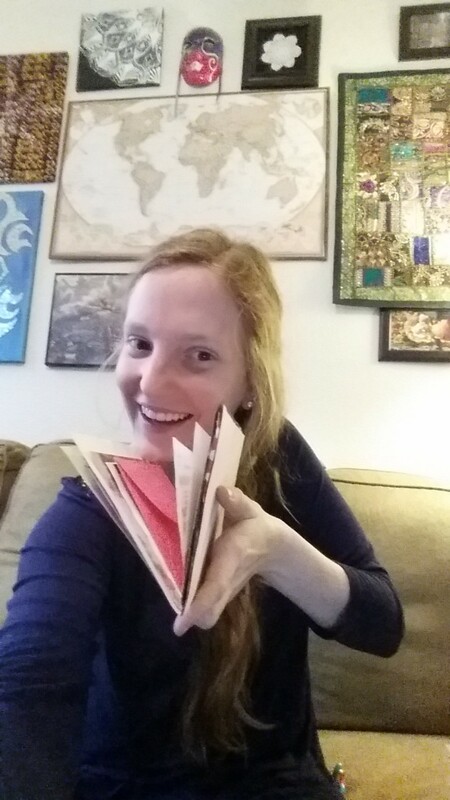 I find my vintage papers in antique malls and thrift stores, as well as a wonderful local craft resale store (Scrap in Denton). 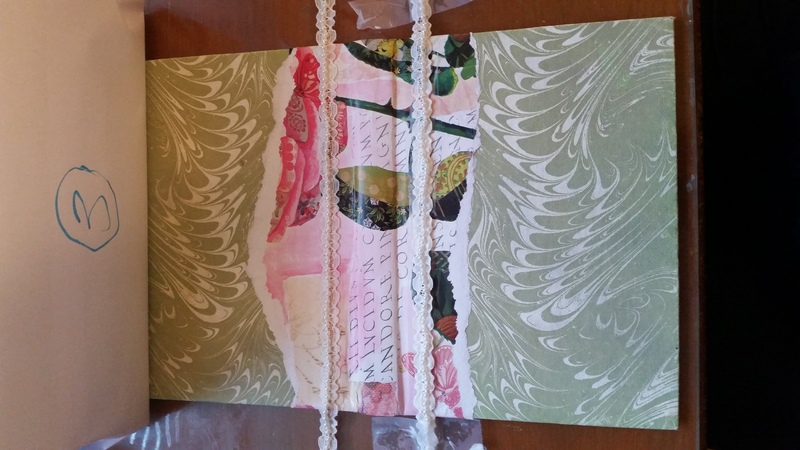 After selecting my papers, I trim them down to fit the size of my book cover. I save the trimmings and keep them together to include with the journal. 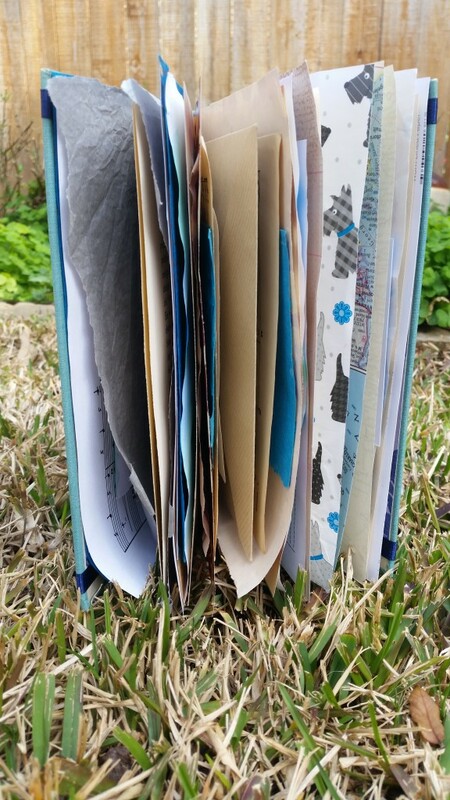 I think it would be lovely to receive a junk journal along with some scraps that “fit” or “match” that I can use in making the journal my own. Finally, I divide the papers into three signatures, and fold and arrange them together. 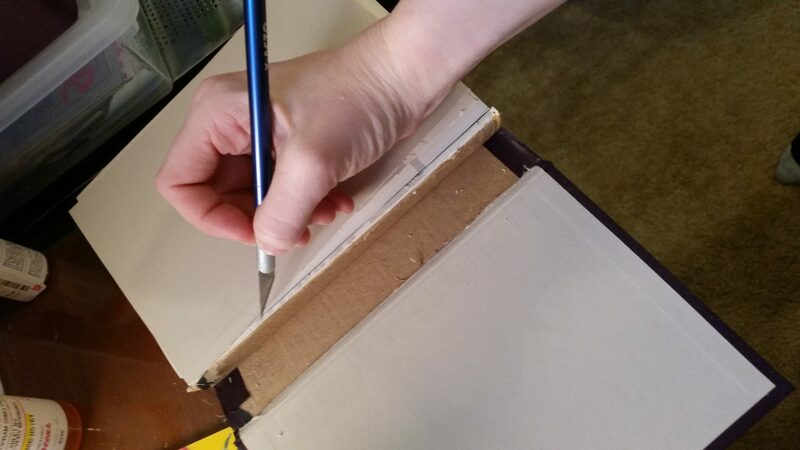 The last step in prepping the pages includes measuring the spine of the book cover, deciding where to place five holes for stitching, and piercing all of the pages. I do not have an awl (the typical tool a bookbinder might use for this purpose), so I use the pointy end of a compass instead. It works! I am also careful to pierce my pages on a thick foam mat. This protects any surface I might be piercing on. 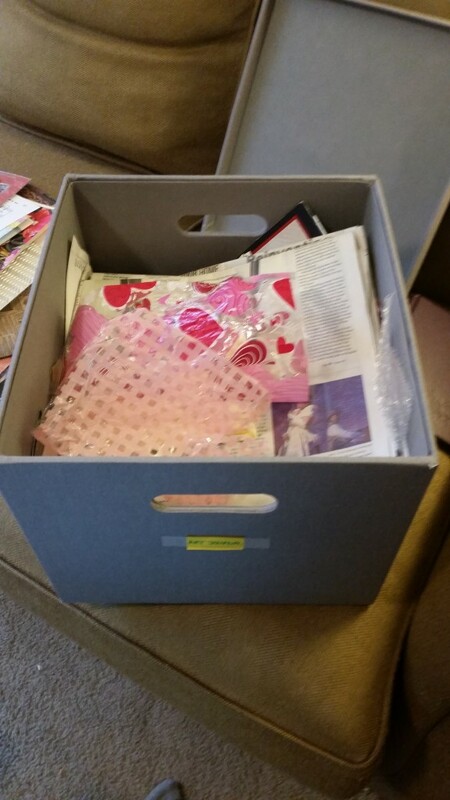 I’ve also seen crafters pierce their pages in the center fold of a phone book. 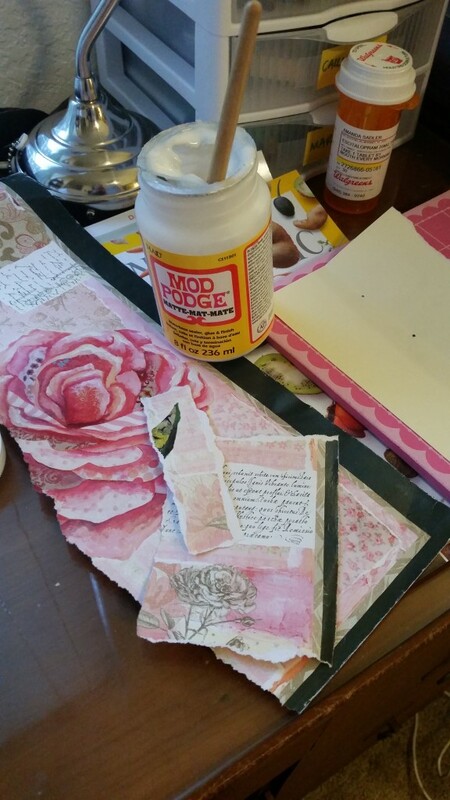 After prepping my pages, I return to my cover and choose materials for embellishing. I collage trim, papers, etc. along the spine or covers, add acrylic paint or other colors, and generally make the book cover look beautiful and unique! 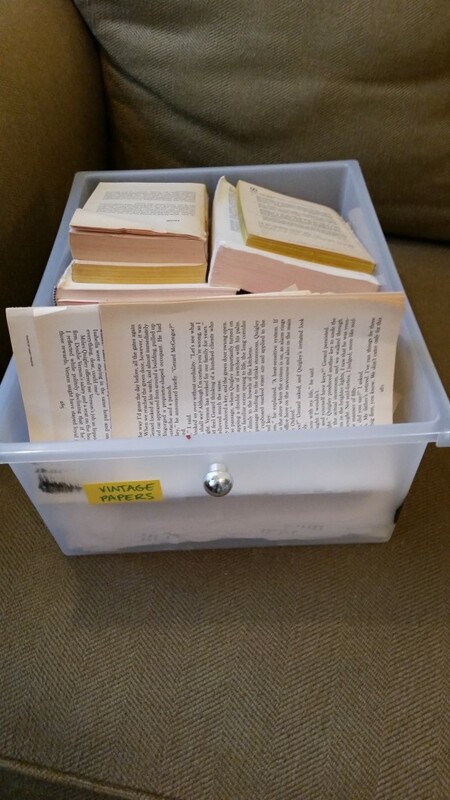 Some vintage books strike my fancy and can be left in their more original state. 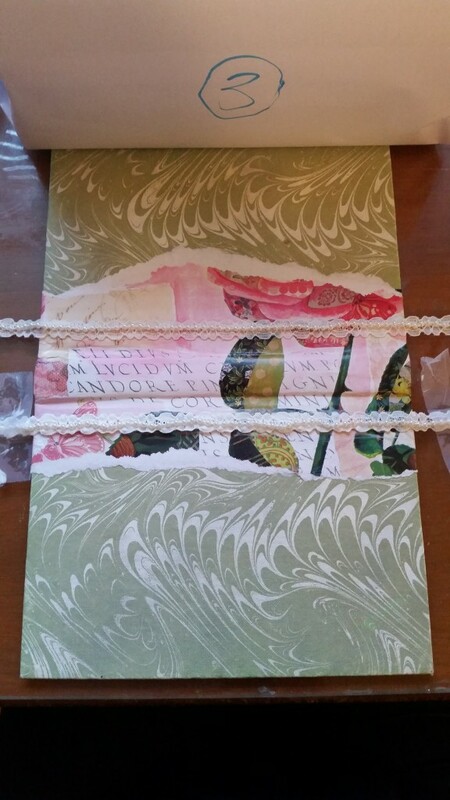 After finishing the front covers, I glue in the end papers, which cover up any ragged edges. I pierce three rows of holes into the spine to allow for the stitching. Finally, the trickiest part: sewing the signatures into the binding! 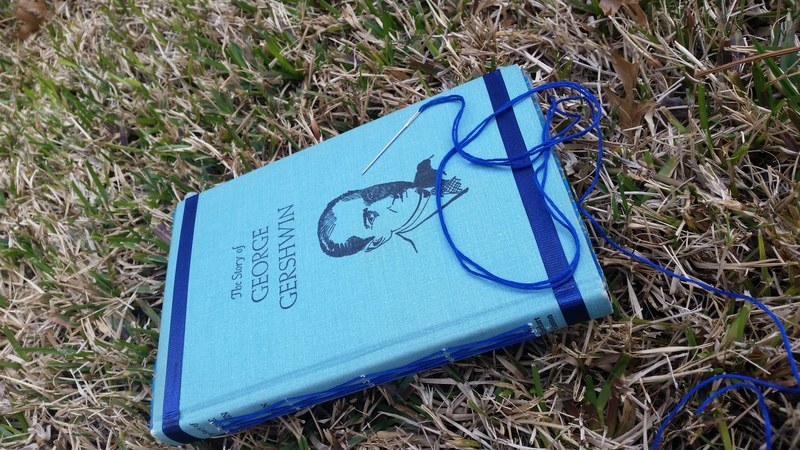 After doing lots of research, I learned how to sew my signatures into a book from this incredibly helpful youtube video! 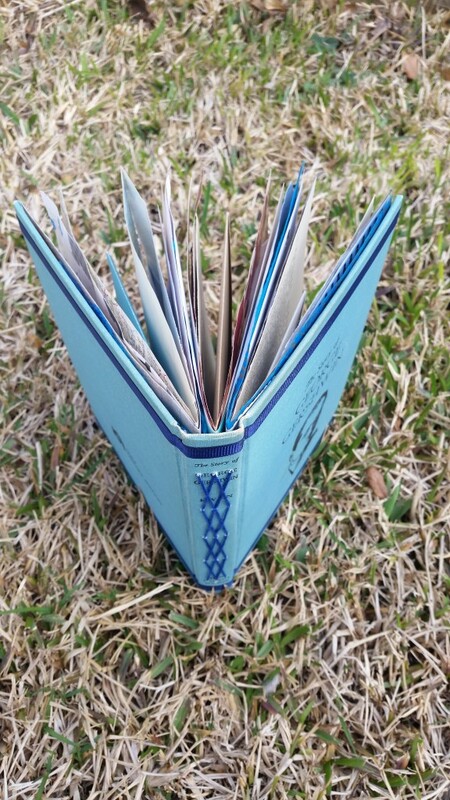 I decided that the cross-stitch pattern looked the prettiest, and so I typically use that for my junk journals. I painstakingly stitch in the signatures using matching embroidery floss or other decorative thread and a thick yarn needle. Over time, I learned that I love using little envelopes at the center fold of each signature. They are incredibly difficult to sew in, but they cover up the stitching from the inside. I love the polished look this brings to the journal. 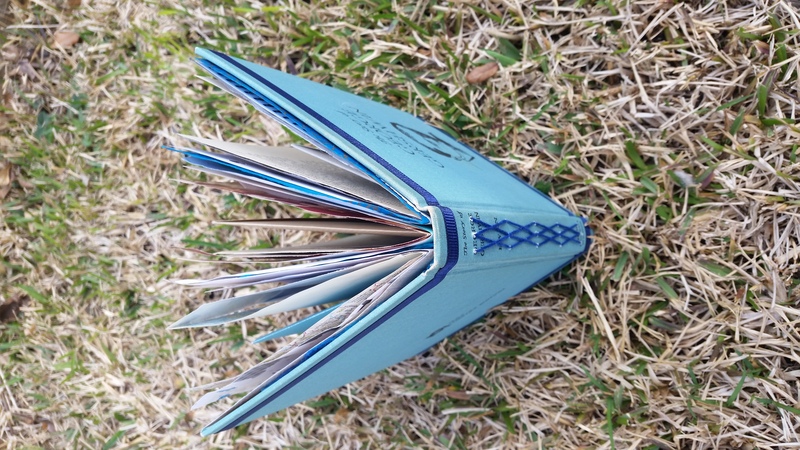 Finally, the junk journal is finished! Junk journals make me so happy because they are such an adventure. From start to finish, the process is complex and interesting. Looking through the journal at the end, I love flipping through and seeing all the interesting papers, textures, and colors. 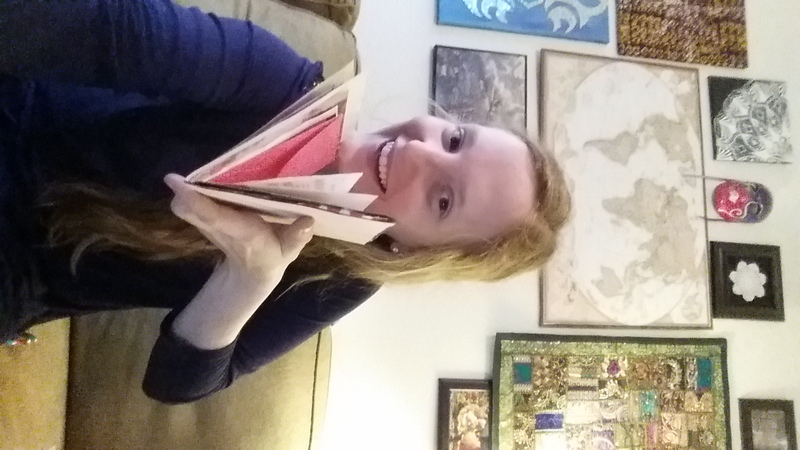 No two pages are the same, and none of my papers are made from pre-packaged journal kits. 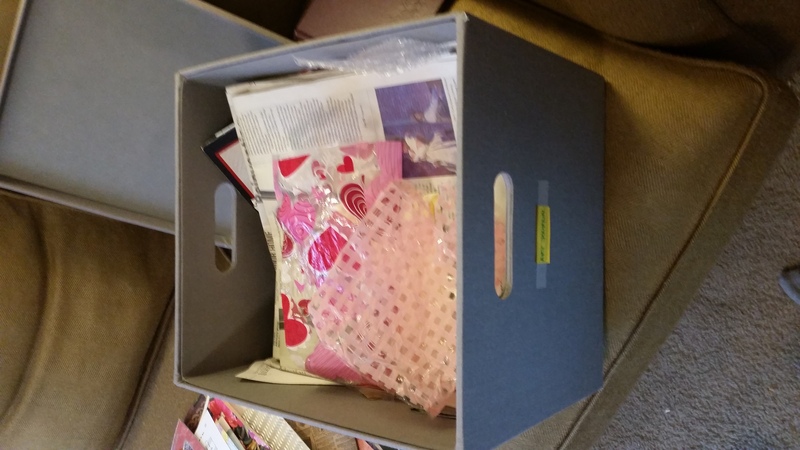 I love including wrapping papers that have come on gifts that brought me joy, watercolor pages that I practiced on, sheet music I once performed, and other little meaningful surprises. This means that my journals are incredibly unique and artistic! Each of my junk journals is made with love. I hope you enjoyed this peek into my process! Not sure it warrants all the amazing work you put into it, but I can definitely identify with the need to record one’s thoughts. Memory palace be damned, I’d take my notebook or, worst case, my phone texts to myself over my goldfish memory any day. I’m so glad you agree, Frank! I love keeping a record of everything. 🙂 Thank you SO MUCH for commenting! !